Hooks hotfly superb DRY - 25 pc. Hooks hotfly superb DRY LIGHT - 25 pc. Hooks hotfly superb MIDGE - 25 pc. Hooks hotfly superb HOPPER - 25 pc. Hooks hotfly superb ALLROUND - 25 pc. Hooks hotfly superb LONG NYMPH - 25 pc. Hooks hotfly superb SHRIMP - 25 pc. Hooks hotfly superb STREAMER - 25 pc. Hooks hotfly superb PIKE - 25 pc. Hooks hotfly superb SALTWATER - 10 pc. 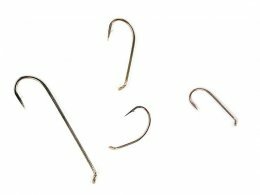 Hooks hends JIG 120 barbed - 25 pc.